2018 let’s go! 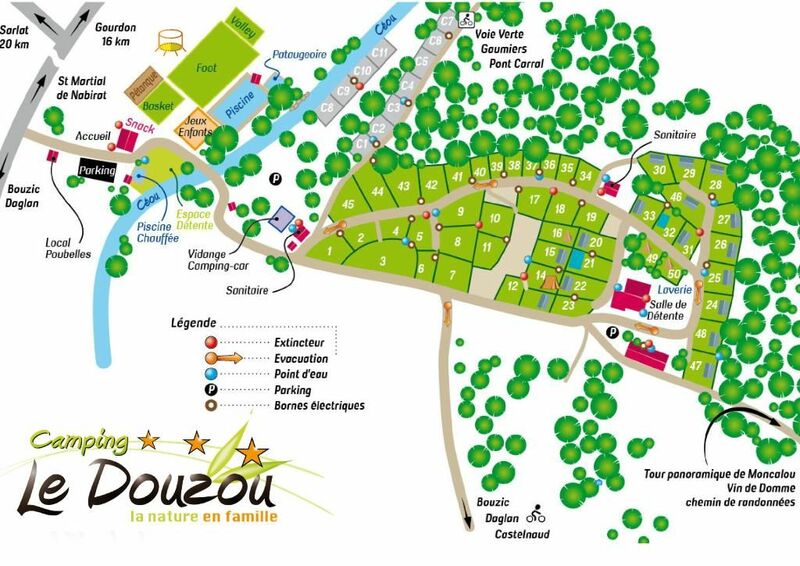 Our campsite in the Dordogne opens its doors ! 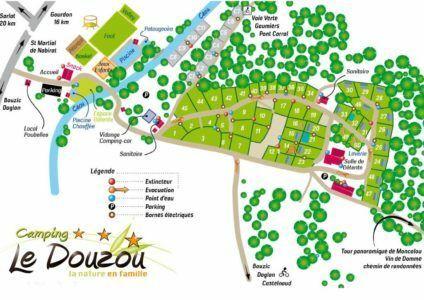 After 6 months of closure, Le Douzou is back at the same time as the sun. Spring in Dordogne is soft and bright. it’s the perfect time to discover all the treasures of Perigord in our campsite located in the heart of nature. Always more comfort in our campsite in Perigord. Like last year, we make a point of introducing new products for this new season. A new mobile home 4-6 people is appearing in location 32. This is a Malaga model, 2 bedrooms with built-in covered terrace. It is equipped with a large bay window in the living room, bringing a maximum of light. We have set up a new WIFI system available at both our reception and at the snack bar. It is faster with free connection and simplified without a ticket system. When you make your reservation, you can now take out a cancellation insurance. We work for this with the company “Campez Couvert”, leader of the sector. We covered the terraces and installed dry towel radiators in two mobile home 3 bedroom Bermuda 2012 and Ohara 884. A new washing machine and for the first time a dryer were installed in our laundry. In addition to the token system, it is possible to pay directly by coins. The children have not been forgotten. 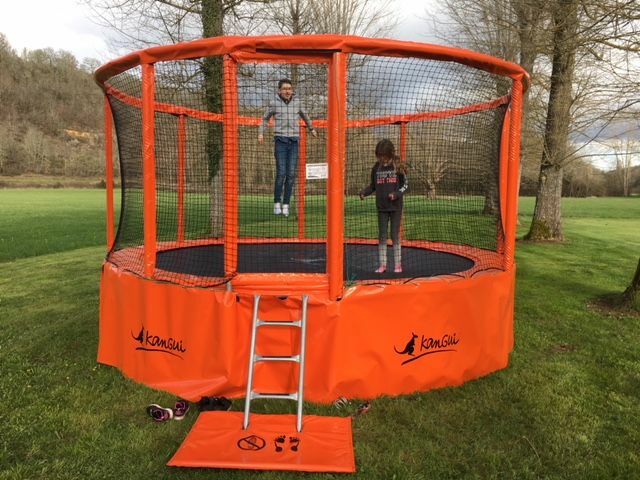 We replaced our old babyfoot and installed near the petanque field a trampoline with a wingspan of 4m30! Of course, your fun and comfort are priceless. The novelties at Douzou are free! A family campsite at your service. Spring in Douzou rhymes with cheap camping. A stay for two in mobile home at 190 euros per week or a family stay from 200 euros. These prices also concern the first week of July and the last week of August. In addition television is included. Order your bread and we offer you coffee every morning when you take it. We are lucky that our campsite is on the river side. Relax in the shade of an oak or walk on the Céou with our canoes available for free. Enjoy our two heated pools also located by the river. Spend your time on our football fields, volleyball and basketball. Not to mention our traditional petanque ground in the shade of poplars. We lend you no cost and no deposit all the equipment for fun. Our campsite is located in the heart of the Perigord Noir. All the wonders of Perigord Noir are next to the Douzou. The typical villages of Domme and Roque Gageac, ranked among the most beautiful in France. The famous castle of Castelnaud which is the most visited of the south of France. The brand new cave Lascaux or the chasm of Padirac and the village of Rocamadour located in the neighboring department of the Lot. Do you like nature ? We are located in the forest on a hill and especially far from the roads. The campsite is crossed by a greenway that will delight cyclists. Hikers will enjoy the trails that leave the campsite. We have maps and itineraries for you to organize your walks. As you can see, our family campsite is fortunate to be located in an exceptional setting. The Perigord Noir is the most beautiful of the four Périgord. We guarantee you a calm and relaxing holiday, in the middle of nature, far from the roads and the noise nuisances .. And it is obviously our smile and our kindness that will accompany you throughout your stay.